IPSIIS manufacturing process allows the use of mineral colorants and therefore the creation of different designs, as those presented in the picture below. 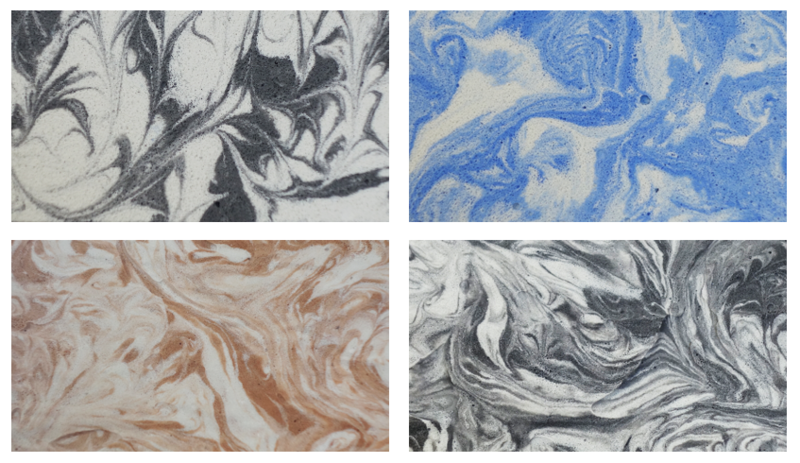 Manufactured in series or hand made to create unique samples, marbled IPSIIS foams are the perfect solution for object design and interior decoration purposes. Marbled IPSIIS foam R, C and S available.